Your local supply store will have a ton of options for you to choose from when selecting the right interior paint. To pick the best from the crop, you need to find a paint that will give you many options to make your walls look the best. 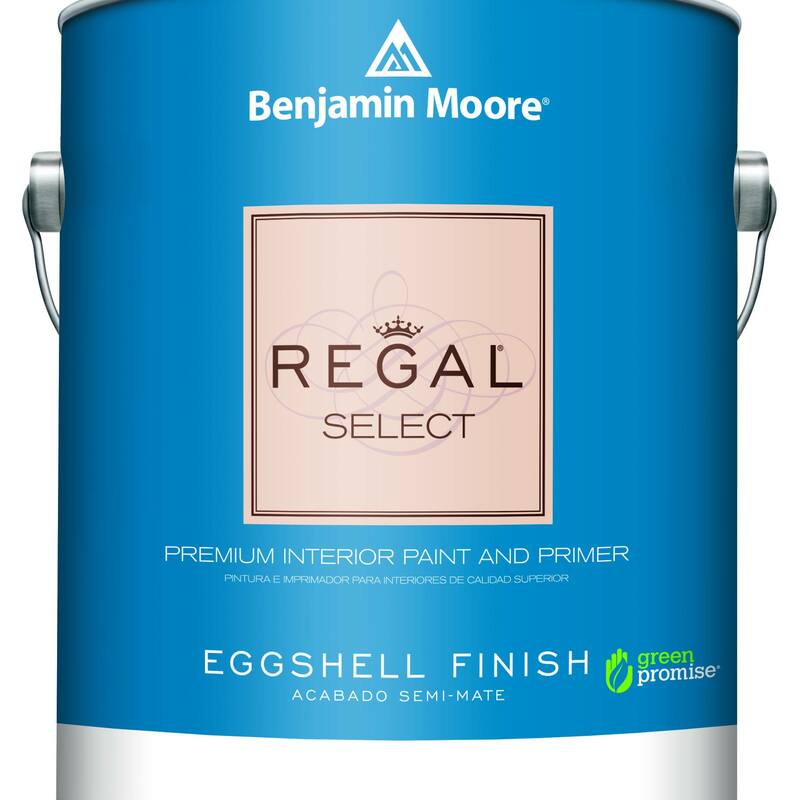 Benjamin Moore’s Regal Select interior paint line offers one of the most diverse selections of paint available to homeowners, contractors and professional painters. From flat to semi-gloss finishes, this paint makes it easy to find the color and finish you want for your walls. The Regal line is based on a 100% acrylic resin that makes it easy to apply while wet. This is also handy for additional coats and touch-up jobs as you perfect the final look. Once dry, the paint hardens into a durable, mildew resistant, easy to clean surface. Choose from flat, matte, eggshell, pearl, and semi-gloss finishes to determine the amount of shine your walls have in any room. It's also a paint and primer in one so less work and is rated as Zero VOC, so it is light on the fumes. Another great option for the best overall interior paint is the Valspar Signature paint. As a 100% acrylic paint, this option offers the highest quality in performance for people needing something they can apply to many different types of surfaces. Compared to traditional latex, semi-gloss paints, pure acrylic paint dries into a thicker film. This helps to hide blemishes underneath while providing an extra level of durability. The Valspar Signature dries into a satin finish that is a good middle ground sheen between flat and high gloss options. The paint will create a greater sense of depth on a wall compared to flat paints without reflecting a large amount of light. The finish will resist fading in sunlight, so consider this option for rooms with a lot of windows. Resistant to mildew, chemical damage, and chipping, the paint can even be applied to wet areas such as kitchens and bathrooms. Painting isn’t easy on the nose. Depending on the specific room and how well it is ventilated, most paints do present a risk of toxic fumes. If you want to avoid any potential complications, you need to find a low or zero VOC paint. The BEHR Premium Plus Zero VOC paint keeps things safe by providing a non-toxic finish to any non-prepared surface in your home. Since it is self-priming, you don't have to worry about complicated preparation before you begin to paint. Instead, simply put your brush or roller into the paint and begin. The paint dries to a nice semi-gloss finish that will resist fading when exposed to sunlight. As a water-based paint, it is naturally low odor and quick drying. It is also washable and scrubbable while wet or dry. If you need something that is easy to clean up while you're painting walls, this is a good choice due to its moisture and mold resistant properties. For a variety of colors, the paint can also be mixed with different pigments for various shades of off-white, medium, and pastel colors. A good combination paint/primer is a great option when you want to save some money and time-consuming steps. 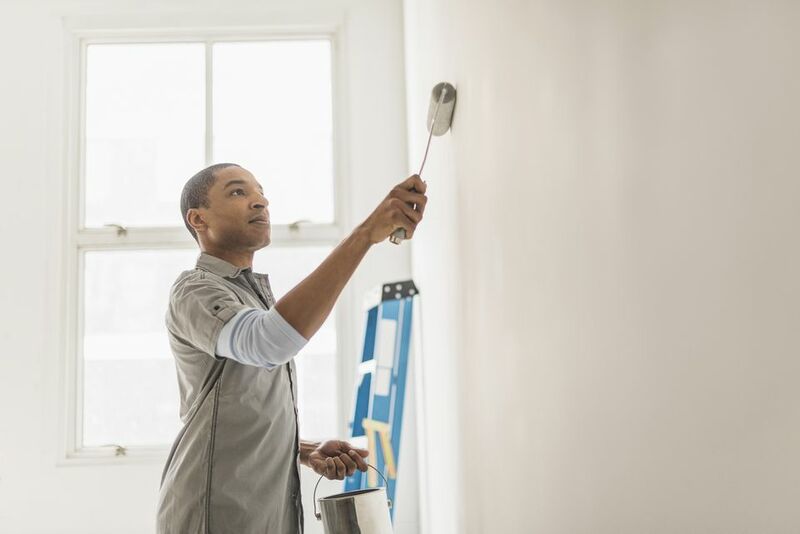 While it’s nice to have unique colors on your walls, many people prefer to have a quick painting process with a standard color they know won’t get ruined by older paints and stains seeping through. This can be especially difficult since old stains and sealers are likely to seep through any fresh coat of paint without additional preparation. The Glidden Diamond is a top paint choice as a combination primer/paint that is low odor and free of harmful chemicals. In addition to blocking previous stains and finishes, this acrylic paint will also seal in natural stains made from water and smoke. For older rooms you are refinishing, this can help breathe new life into walls that have been damaged from messes, smoking, or accidents. It dries quickly so you can see the final look almost immediately without worrying about previous stains and damage affecting the finish. Chalked paint offers a unique finish that is reminiscent of old chalkboards while remaining elegant looking. This is perfect for mid-century or retro design styles that need to bring back a sense of the past without looking outdated. Rust-Oleum’s Ultra Matte Chalked paint is the perfect size for projects that involve painting a single room or individual accent walls. It is a low odor, latex-based paint that is easy to brush on, making it great for covering challenging surfaces like trims and edges. One can effectively cover up to 150 square feet and dries within 30 minutes. The ultra flat finish means the dry paint will minimize any surface imperfections that exist and create a smooth look to any wall. Beyond interior walls, you can also use this paint on other surfaces like wood, plaster, masonry, and metal. It even comes in a spray can for painting furniture and other objects outside. Still can't decide on what you want? Our round-up of the best chalk paint can help you find what you're looking for. One coat coverage means you can skip the tiresome process of dealing with different layers of top coats. In order to truly be one coat, however, the paint needs to take its durability to the next level. Behr’s Marquee one coat paint does this by using a 100% acrylic formula that will stick on virtually any type of interior surface. The paint can be colored and tinted with a whole variety of options so you can achieve your desired look in less time compared to other alternatives. The dried finish is a semi-gloss sheen that hides surface blemishes on the wall underneath. For rooms with high traffic or little children at play, this paint can be easily cleaned with some water and gentle scrubbing without damaging the finish. The low VOC formula also makes it a smart choice if your ability to properly ventilate a room is limited and you are concerned about toxic fumes.